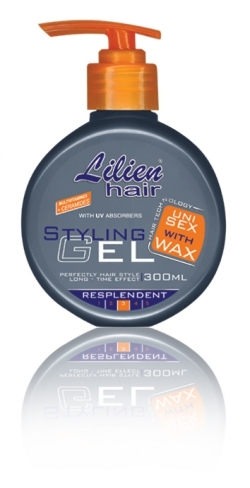 Hair fixative gel containing ingredients wax and polish, gives your hair glow effect. Suitable for men and women. Contains UV filters to protect hair color from the sun's rays.